is accomplished largely by sight. When the ball is far from the hole, we are not very good at judging the distance of the putt accurately. To improve accuracy it is useful to pace off long putts to equip our brain with more precise information. However, most of us are not very good at it. When the target is close at hand, we are more or less accurate. However, our error in judgement increases with the increase in distance to the target. Before the advent of range finders caddies had to pace off strategic distances rather than just guess them. This was the only accurate way. To match the length of their stride to a yard, they would walk from goal line to goal line on a football pitch until they could cover the distance in exactly 100 paces. When it comes to putting you will faced from time to time with a long putt. Depending on the size of the green this putt could exceed 60 feet or more. You are now in three-putt territory if you get it wrong. The ability to perceive distance (depth perception) appears to exist in early infancy. Our eyes working in tandem provide us with cues that allow us to reach out and grasp something. 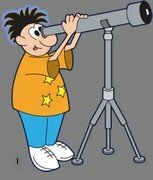 Our binocular vision allows us to approximate an object's position. While vision is an important source of information, it is not the only source for judging distance. As a helper in blind golf I learned that you can judge distance without vision. The technique the blind golfer uses is to pace off each putt. How hard to stroke the ball is then based in part on the number of paces from the ball to the hole. I would like you to try this little experiment. Pick a putt longer than 50 feet and stick a tee peg in the ground to mark your starting point. Eyeball the distance carefully, close you eyes and then walk towards the hole. When you think you have reached the hole, stop and open your eyes. Stick another tee peg in the ground to mark where you stopped. Most golfers in this experiment are short of the hole. Next count off the exact number of paces from the hole to your starting point. Turn about, close your eyes and then count down the paces as you walk back to the hole. If you have counted correctly you should be at the hole. This experiment shows that when we eyeball for distance, we only give a limited amount of information to our brain. Often this information is ballpark at best. However, when we pace off our long putts, we equip our brain with more precise information. So next time you have a long putt, don't just rely on your eyes for judging distance. Pace off the putt as well so you have accurate idea of just how far your ball is from the hole.